Products >> Milk Steaming Pitcher 20 Oz. Milk Steaming Pitcher 20 Oz. Milk Steaming and Frother Pitcher. 20 oz. ; 18-8 Stainless. Descaling is best done manually every two or three months. Order Best descaler (#DSC-6x2) from our online store and follow authentic descaling process. Scroll down to the bottom of page for more Descaling info. 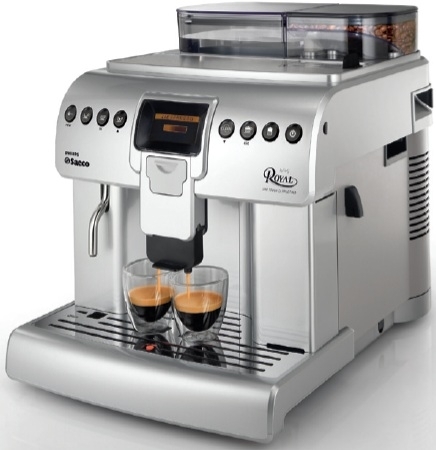 Frustrated with old Jura espresso machine that needs frequent expensive repairs? 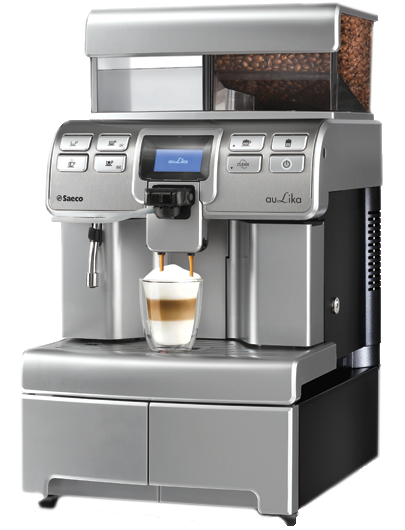 10 times better than Jura, Gaggia, Breville brands. 50 50 BUZZ premium Non-Oily 'Espresso Roast' Beans. Regular & Decaf. Blend of 55% Arabica & 45% of finest Robusta Beans from Brazil & Costa Rica. 1- R.O or Distilled water does not eliminate the need to descale. The negative electron ion on the molecule of water, it interacts with metal to form powder. 2. Avoid using dark roast oily beans. 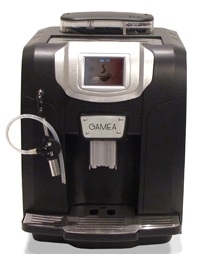 Oily beans and fine grinds produce over extracted coffee, which clogs the coffee grinder. Strong Coffee is made with less water (2-Oz or less). 3. Do not refrigerate beans. They absorb moisture, which in turn clogs the grinder burrs and may cause them to rust. Clean coffee grinder (Built in or stand alone) every three months. 4. Calibrate the quality of espresso every day by making espresso in a shot glass. A shot glass limits the coffee size, allowing a visual check of espresso quality. Examine the color of espresso and the thickness of Crema. Ask for a free shot glass with the purchase of 50 50 BUZZ bag of Espresso roast beans.